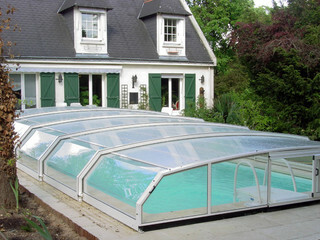 Want the indoor pool experience without the associated cost? 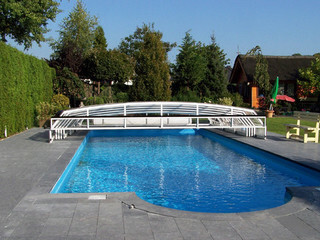 Feel frustrated that the weather won’t allow you use your wonderful outdoor pool as often as you’d like? 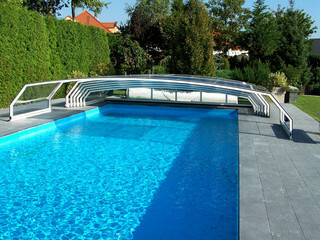 There is an alternative, and a very stylish one. 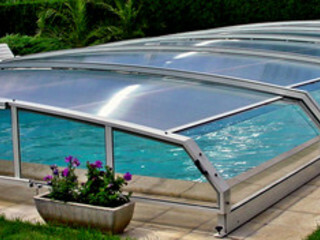 An outdoor swimming pool covered by a Riviera pool enclosure will enjoy the benefits of warmer water temperature, a crystal clear pool free from dead leaves and insects and great environment in which you can comfortably make use of your pride and joy. 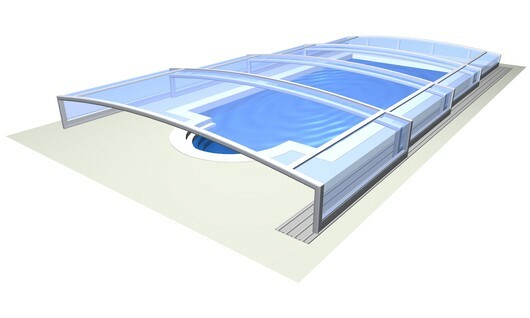 Made to order, Riviera pool enclosures can be constructed in a number of colours, from gleaming white to ‘wood effect’, perfectly suited to pools with wooden decking around them. 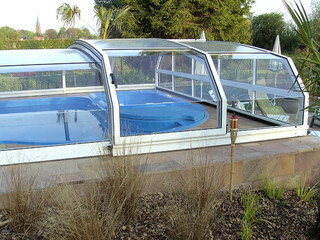 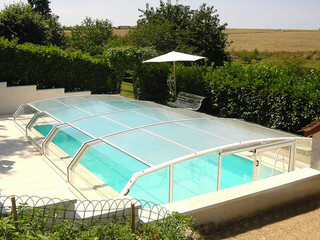 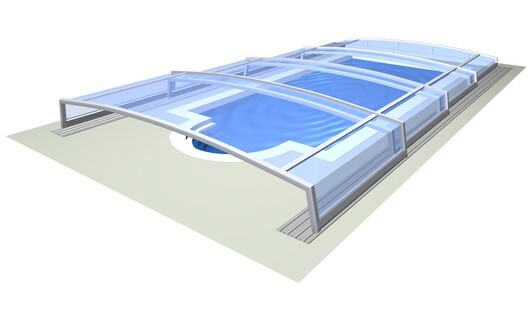 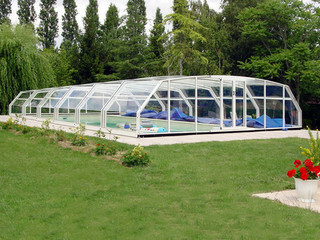 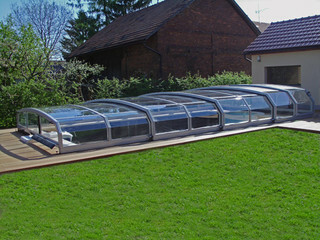 All of our enclosures allow for use of the pool whilst closed. 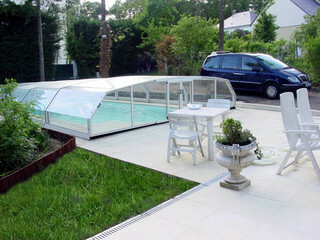 From ‘Low’ enclosures that let you swim and stay warm whatever the weather to ‘High’ enclosures that allow for comfortable seating and entertaining poolside.